Watch full Fairy Tail Season 7 Episode 80 English Dubbed full HD online. Fairy Tail Episode 255 English Dubbed online for free in HD. Gajeel tells Levy to give oxygen to their drowning guildmates with her magic while he continues to battle Torafuzar. 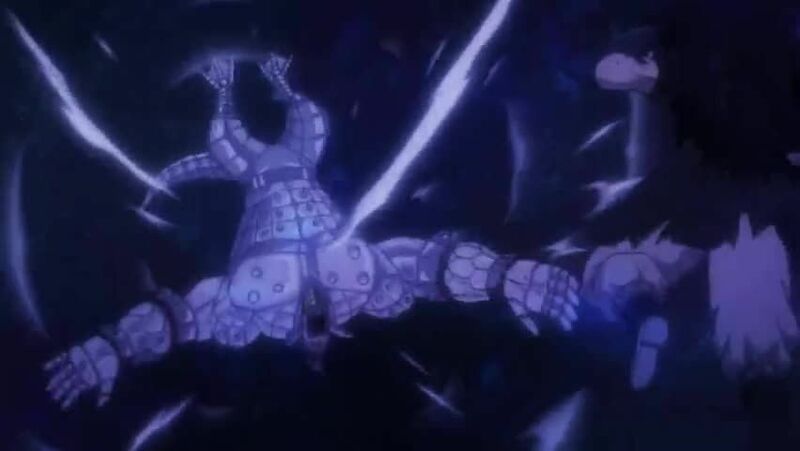 The demon hardens his body to neutralize Gajeel’s attacks, but Gajeel uses the carbon-rich water to furbish his iron body into steel, which cuts through Torafuzar’s defenses and defeats him. Tempester attacks Gajeel after he is left weakened from the fight, but Laxus comes to Gajeel’s rescue and faces Tempester in a rematch despite still being contaminated from their earlier battle.